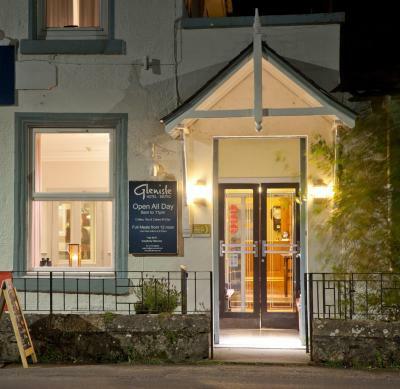 Lock in a great price for Glenisle Hotel – rated 9.2 by recent guests! The view from the room was incredible and the room itself was amazing. 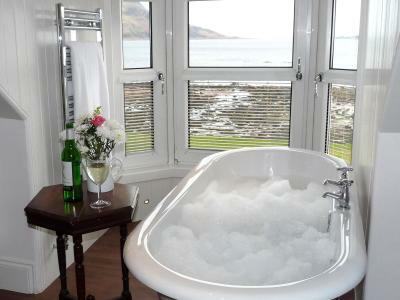 The most comfy bed and most amazing bath tub and the room was so big and clean! Cant wait to go back. Daffid made us feel very welcome and was attentive and friendly. Hilary was lovely and cheery at breakfast the next day! Fabulous hospitality - lovely people, food, decor, comfort. 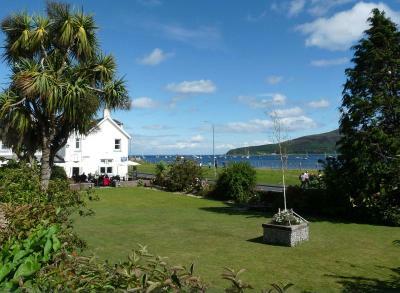 Excellent location in Lamlash with great food and friendly staff. Room wasn’t huge but was clean and well equipped. 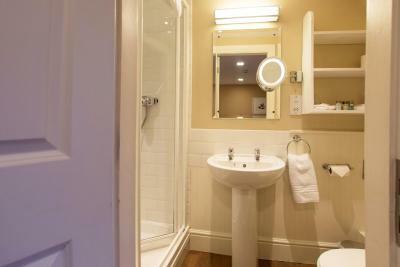 Bed was large and comfortable and bathroom was very good with bath and powerful shower. Evening meals aren’t cheap but the food is excellent so worth it. 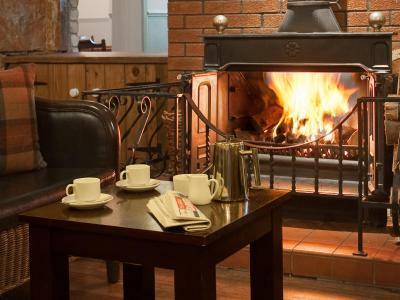 Helpful, friendly owners & staff. Lovely clean hotel with lovely outside area for sitting. Fresh towels and clean bed made up each day. 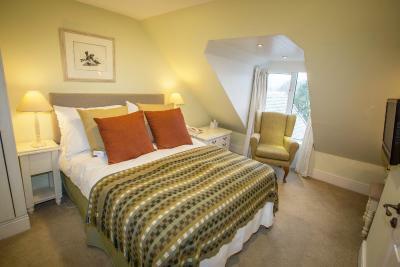 Cosy comfortable rooms and enjoyable breakfast with fresh fruit. Pretty location. Friendly efficient staff. Rooms were large and clean. 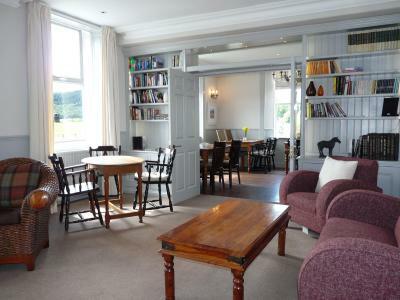 The location is ideal and hostels fantastic views. 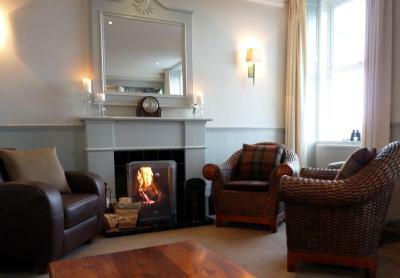 Staff were friendly and helpful and it was a very pleasant stay. 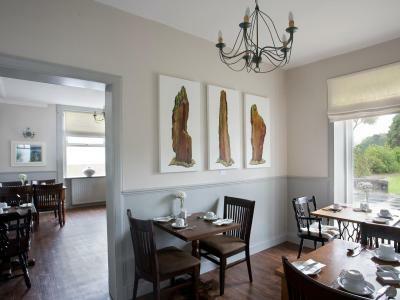 The breakfast was excellent - good selection offered and cooked to order. 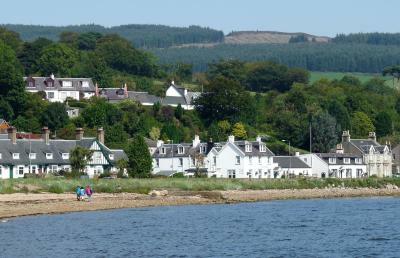 We didn't get to do as much walking as we had hoped due to the weather, but what we saw of the location was lovely. 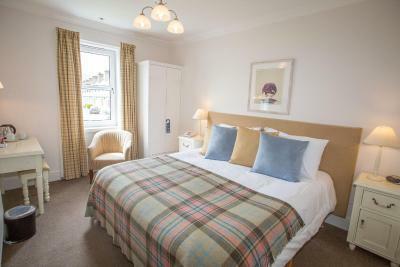 Glenisle Hotel This rating is a reflection of how the property compares to the industry standard when it comes to price, facilities and services available. It's based on a self-evaluation by the property. Use this rating to help choose your stay! 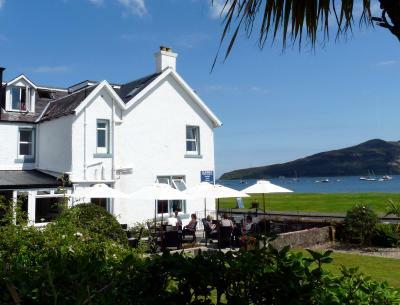 Winner of Scotland's Romantic Hotel of the Year 2018, this charming, ancient island inn is now an award-winning boutique hotel. 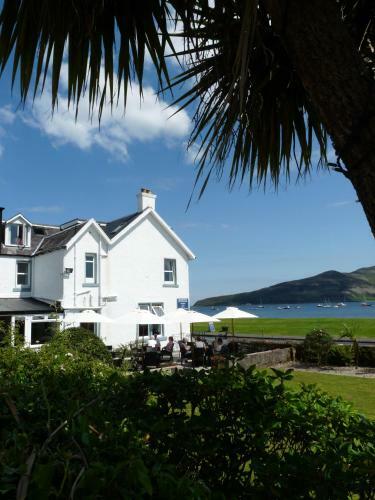 Nestled in the charming village of Lamlash, the hotel features one of the most beautiful locations on the Isle of Arran, looking across Lamlash Bay towards the Holy Isle. 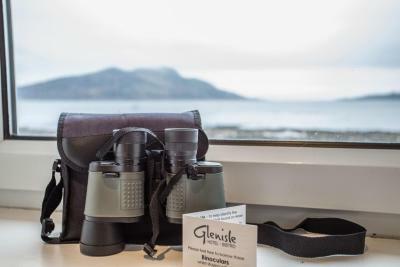 The Glenisle Hotel is recommended by the Michelin Guide 2018, among many other accolades. 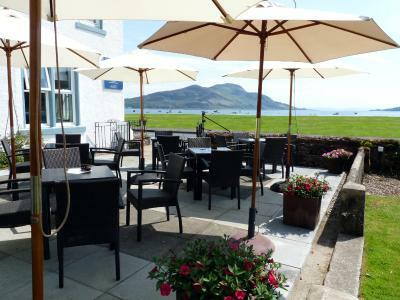 There is a walled garden that also faces the sea, and is an ideal spot to relax with a drink and enjoy the view. 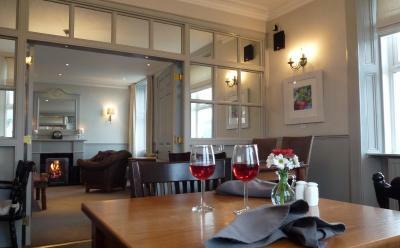 The award-winning bistro serves meals throughout the day which can be enjoyed outside or in. 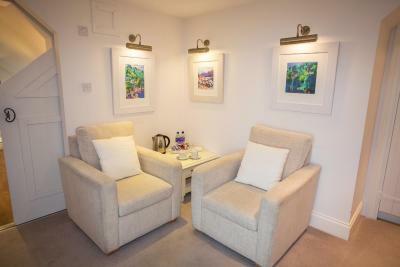 Rooms all have a flat-screen TV and tea and coffee making facilities. 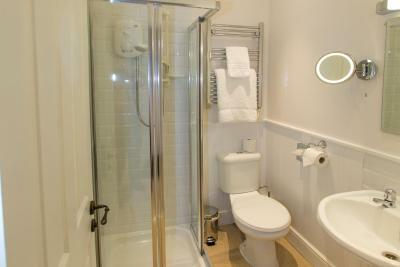 Free WiFi is available in the bedrooms and in the public areas of the hotel. 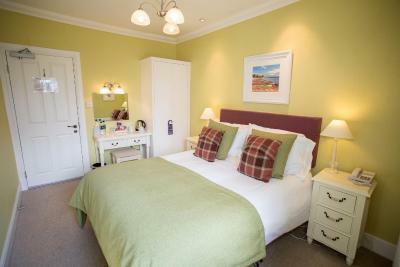 When would you like to stay at Glenisle Hotel? 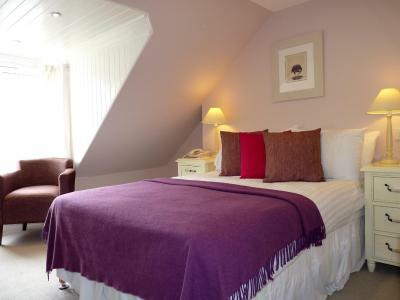 The standard rooms are on the first floor and each room is different in size and character. 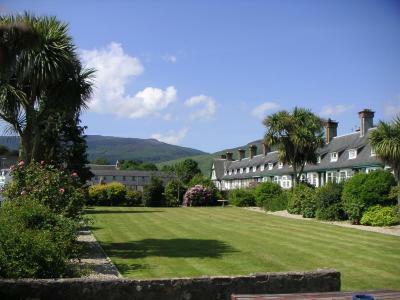 Most look over the hotel's historic walled garden towards the village and hills beyond, with a side view of Lamlash Bay. 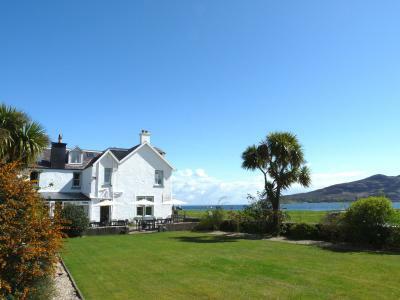 Some look towards the rear of the property and do not have sea views. 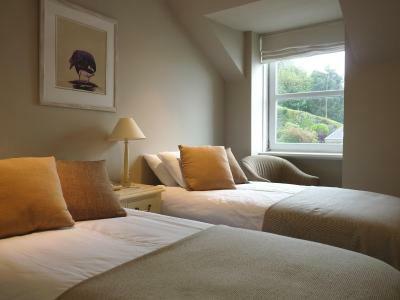 Standard rooms vary in size and have either a king-size bed or a super king-size bed. 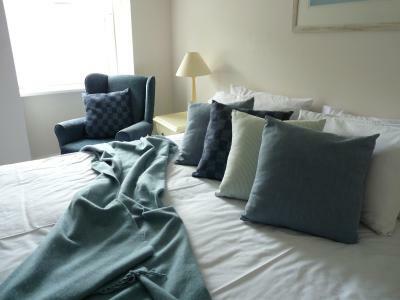 Most can also be made up with twin beds. 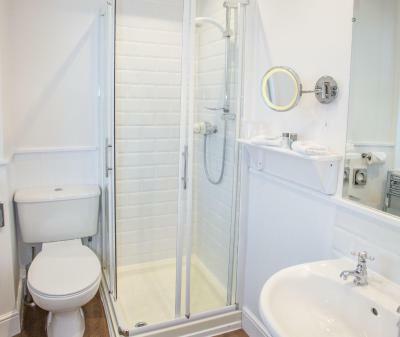 Bathrooms are well appointed with either a walk-in shower or a full bath with a shower over. 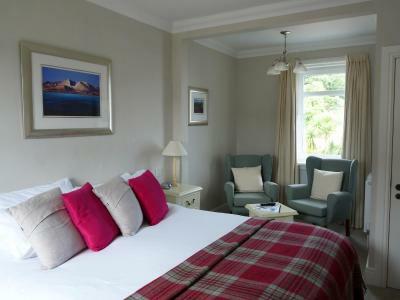 When booking please inform the hotel whether you would like the room set up as a twin or a double. 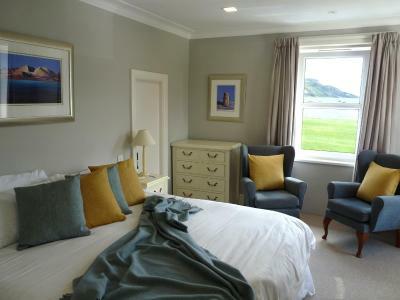 These large rooms have a direct sea view across Lamlash Bay to the Holy Isle. 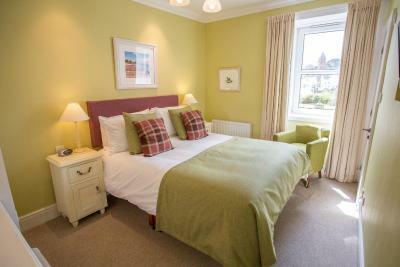 They have a super king-size double bed or twin beds, plus a sitting area with armchairs and a coffee table. 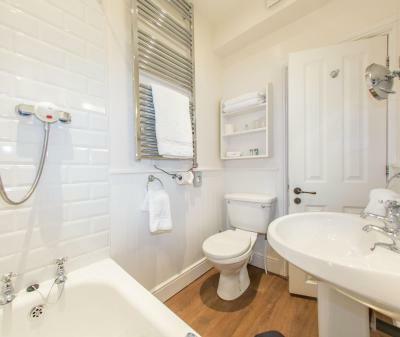 Bathrooms are well appointed with either a walk-in shower or a full bath with a shower over. 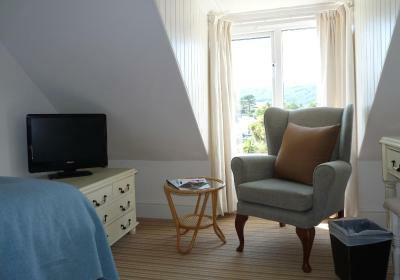 The standard rooms are on the first floor and each room is different in size and character. 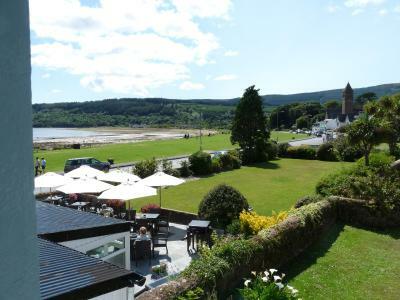 Most look over the hotel's historic walled garden towards the village and hills beyond with a side view of Lamlash Bay. 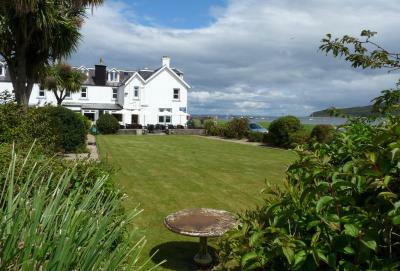 Some look towards the rear of the property and do not have sea views. 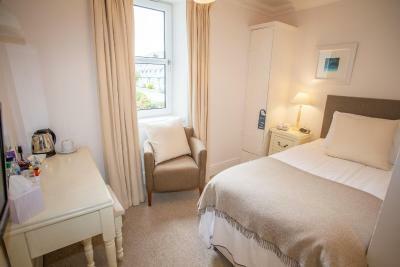 Features include a flat-screen TV and tea and coffee making facilities. 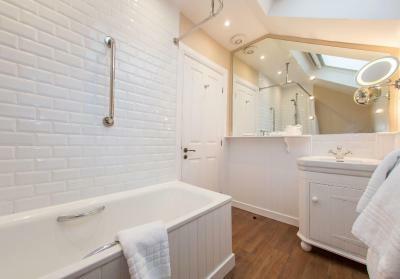 With views overlooking the walled garden towards the village church and hills beyond, these rooms include an en suite shower room. 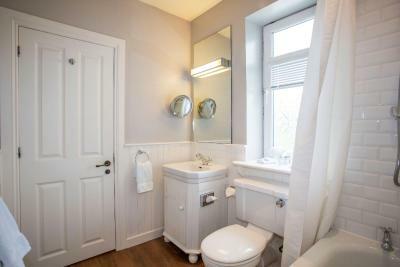 Some are located on the second floor and feature sloping ceilings and period dormer windows. Located at the top of the hotel overlooking the sea, this is the largest room in the hotel with an area of approximately 37 square yards. 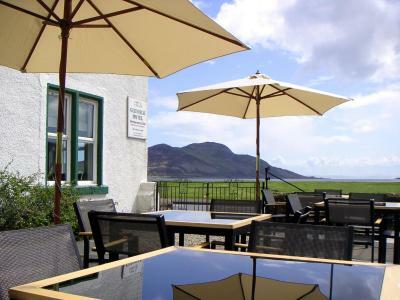 It also has the best views, being higher than the superior rooms and looking directly across Lamlash Bay towards the Holy Isle and the North Ayrshire coast beyond. 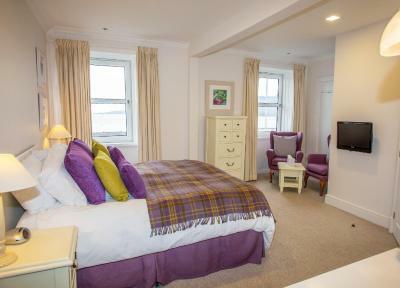 The room spans the entire width of the building and features a super king-size bed, a sitting area with armchairs and two large dormer windows with sea views. 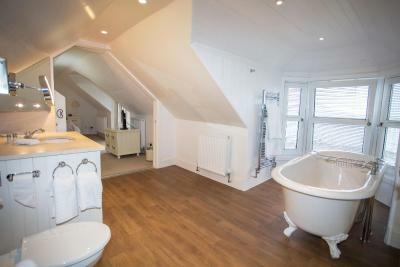 There is also a luxury bathroom with a walk-in shower and a roll-top bath in the dormer window, with spectacular views to enjoy while you soak. 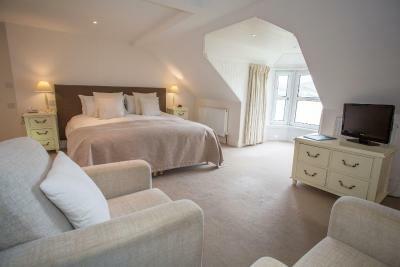 Located at the top of the building, these rooms offers views over the hotel garden towards the village church to the hills beyond. 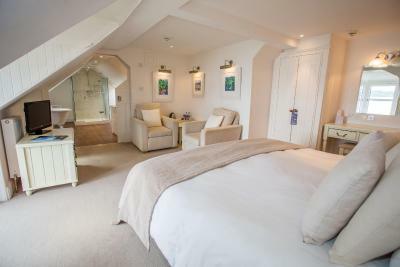 These smaller individually designed rooms feature sloping ceilings and period dormer windows, as well as an en suite shower room. 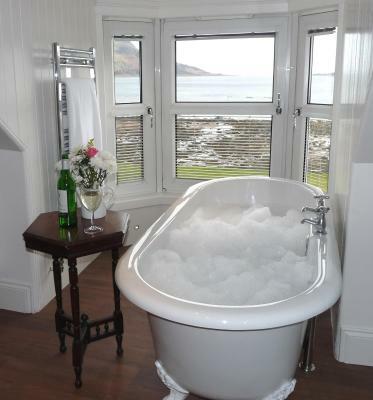 House Rules Glenisle Hotel takes special requests – add in the next step! Glenisle Hotel accepts these cards and reserves the right to temporarily hold an amount prior to arrival. The beds could do with new mattresses! Although very clean and bed made up each day. Staff excellent. Very friendly and helpful. Food (with the exception of breakfast) was not good. Mushroom tagliatelle was bland and over priced. 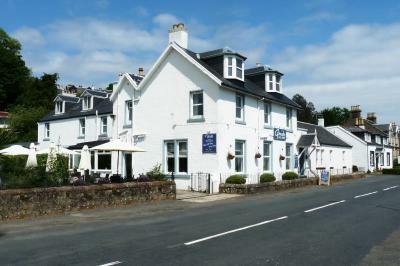 Other hotels in Lamlash are offering much better quality food for evening meals. Lovely views, great beer garden. Tv is rather small for such a big room. The breakfast was not great. The continental breakfast consisted of fruit juice, fruit that didn't look appetizing spread out on tray and toast and cereal. There was 4 hot options and the full Scottish breakfast was very greasy and not enjoyable. Also room service is advertised in the information booklet that's given to you in your room and when we went to ask at reception for the menu we were told bluntly that they did not do room service. They should not be advertising facilities they do not offer. Car park is not well sign posted either. Felt the main server was a bit curt and there was what looked like mold all over the walls by the window in our room.. The room was very clean, small but all we needed. The weather, but you can't do much about that! Staff not very responsive. Room was pretty basic but clean. 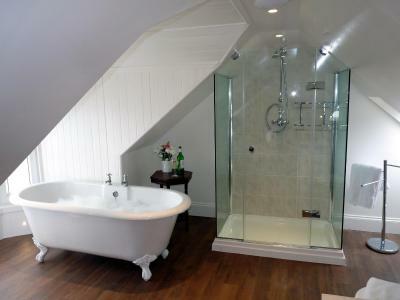 The rooms at the top in the attic area are compact. Watch out if you're tall. Fine for our one night stay and comfortable but wouldn't suit everyone. 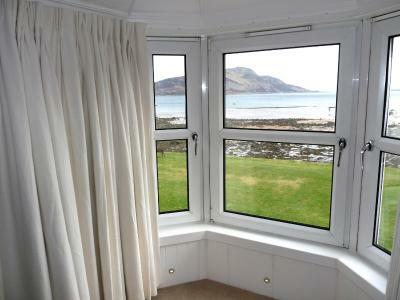 Excellent location in the middle of Lamlash across from the seafront. Had dinner and breakfast and both very good with varied choice. 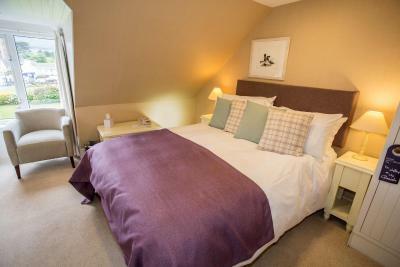 Comfy bed and toiletries provided.